Roadside Oddities – Tervis Tumblers, Venice FL | Hey RV There Yet? 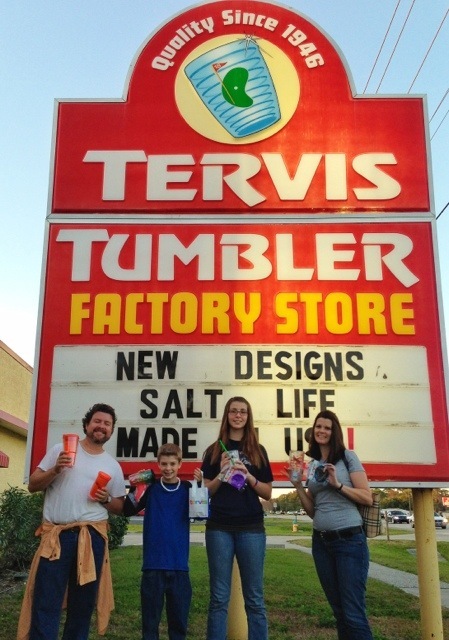 We decided to visit Tervis Tumblers (www.Tervis.com) in order to get some drinking glasses for our RV travels. The thought is that each of us could have our own unique and identifiable glassware. This would save on having multiple glasses. (Plus MJ always accuses me of leaving glasses around the house, a no-no in an RV. 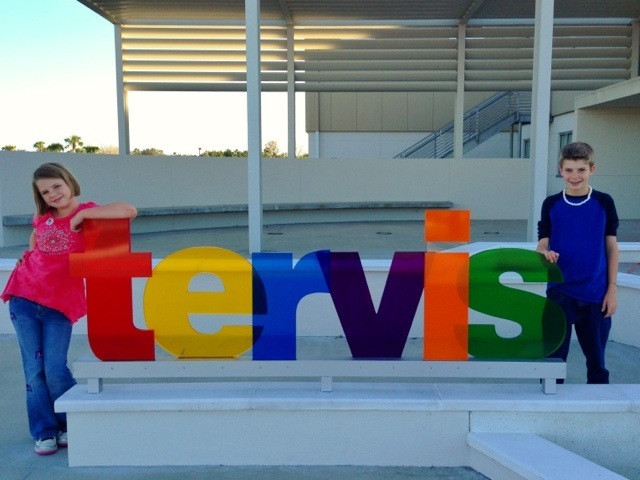 Now I’m scaled down to two and only two (Orange of course)). 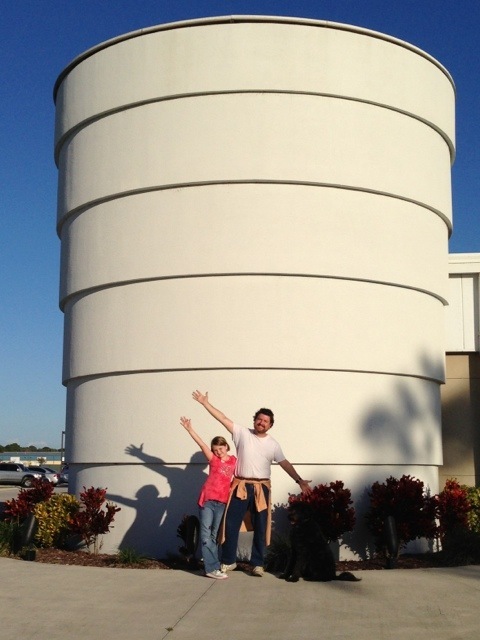 For years we have traveled on I-75 passing by this giant tumbler. Finally we have stopped to pay homage. We were hoping to be able to go on a factory tour but they are currently not offering. 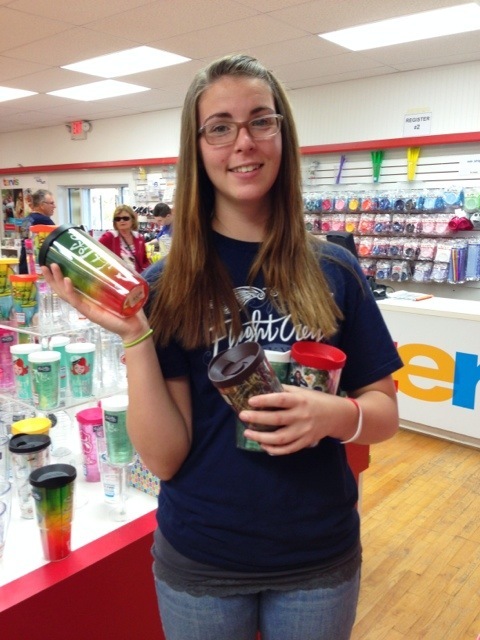 About 7 miles down the road is the Tervis factory store. There are so many choices and various themes to choose from. Half the fun is finding glasses for yourself and for others. What a huge selection. A good time was had by all. Here the themes that we chose.